Before I started, I needed to make sure that I had all of my equipment ready to go. This included whatever materials needed for the project, as well as protective gear. I have bad knees, but even if you do not, you also do not want to make yourself have bad knees. This is why one of the biggest considerations to make before doing any type of work project is to check into knee pads. 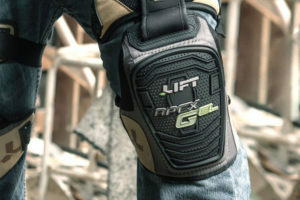 I compiled a list of some of the best knee pads on the market that are going to provide you with the comfort, protection and of course, security needed for any type of construction-like project. Trust me, they’re a life saver.